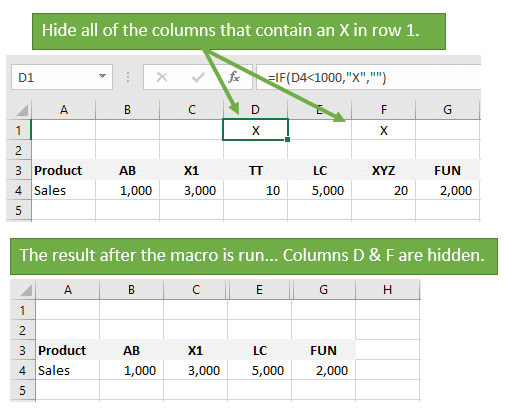 This article explains how to write a macro to hide all columns that contain a value in a cell. This can be any word, text, number, or phrase in a cell of the column. In this example, Victor has a sales report and he wants to run a macro to hide columns with small number values. He has a formula in row 1 that returns an “X” if the column should be hidden. So we need a macro that will loop through row 1 and hide each column if the cell in the column contains an “X”. Download the example Excel file that contains the code samples. This macro loops through all the cells in Range(“A1:G1”) using a For Loop. The If statement checks the cell's value to see if it equals X. If the cell value equals X then the cell's entirecolumn is hidden. You can copy/paste the code to your own workbook. 'has the value of X. You can change the Hidden property to False to unhide the columns. You could also run the following macro to unhide all the columns at one time. The Range(“A1:G1”) reference can be changed to suite your needs. To loop through all the cells in a row we could use the following line of code instead. The value “X” can also be changed to any number, text, phrase, or formula you want to evaluate for. You could even check the cell properties like font or fill color instead. The best way to get the code for these properties is using the macro recorder. We can also toggle the hidden property of the column. The following line of code will set the hidden property to the opposite of it's current state. If the column is hidden, it will be made visible (unhidden). If it's visible, it will be hidden. The Not operator after the equal sign will set the property to the opposite. If the Hidden property is True, it will be set to False. If it is False, it will be set to True. Here is the full macro for toggling the columns' hidden state. 'the opposite of it's current setting for the column. 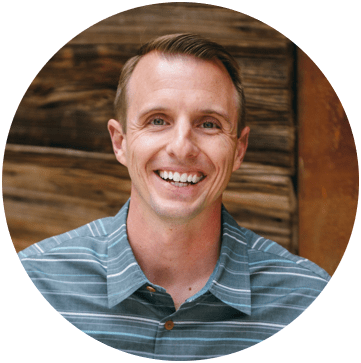 Kenny asked a question about using this macro on all the sheets in the workbook. Here is a version of the macro that loops through all the sheets in the workbook, and runs the code on each sheet. 'a value on each sheet. Notice how we reference the ws variable in the following line. This sets the c variable to reference the cell on the current worksheet (ws) in the loop. We do not have to reference the worksheet before c in the lines of code below it because the c variable (range object) is set to a cell on a specific sheet (ws). There are a few ways to make this macro interactive with buttons. We can add a simple form control button or shape to the sheet and assign the Hide_Columns_Toggle macro to it. Each time the user clicks the button the columns will either be hidden or unhidden, depending on their current state. We can also use a Slicer if you have multiple categories of columns you want to hide. Checkout my post on The Filter Columns Macro for details on this technique. This is a more advanced technique for hiding columns based on cell values. Please leave a comment below with questions. This is a great article and very close to what I want to achieve. Note my VBA skills are beginner at best. What I want to do instead is hide a row if the value in a Column range of say E5:E300 = 0. So if for example E56 = 0, then row E is hidden. If anyone could comment on how to achieve this it would be appreciated. This is the code adapted to what I need. Anyone care to comment? It seems to run slow at times, not sure why. ‘has the value of 0. ‘the opposite of it’s current setting for the column. what if i wanted by tabbing to skip the cells that contains for example ( color gray ) in the same row. Thanks – this is great! I have region wise like east,west,north & south data and i have to show that data by region wise with top row sum of the region by macro button, if click north button and show only north region data and show top in only north region sum. Jon, thanks for sharing and helping us all! I would like to run this macro when the workbook opens and I would also like to check two enitre rows, I managed to do the first (running the macro when the book opens) but not the second, I tried this code you previously suggested: “If c.Value = “X” And c.Offset(1,0).Value = “Y” Then” but it didn’t work for me. The other value I would like the macro to look for is the error message #¡VALOR! Is there a way I can send you an image so you can see what those rows are, or better yet, send you the workbook? Thank you for this wonderful article. Is there any way we can hide a range of data instead of hiding entire column or row(for example: A2:D8)? You would have to hide the entire rows and columns for the range. You can’t just hide the cells within a range. You could do something like change the font color of the cells to white or place a shape over them, so they are not visible. I hope that helps. I am a complete novice at Macros, so am adapting your macro to check the values in row 5 of each column and if it says Completed, then to hide the entire column. I get the Run-time error ’13’: Type Mismatch. Just dropping a quick line to say thank you! This is really great! If we select one section and 2 activity at a time only those details should get appear, so likewise the same for if we select 100 sections and 30 activity, the same should get reflected, can you help me in this, while I checked with those who are experienced in excel they said in brief that it is nothing but hiding and UN-hiding the columns, but the thing is that I am new to this macro world, so can you help me in putting macros for the same. I want to ask I want to make data entry form in vba user form. 1 combo box which contains all of the list items then 1 text box where i can manually input the amount. how I can make code of data entry user form which combo box list item when selected will go to the sheet where the selected item located then the text box entered amount would be recorded next to the selected item. I have a sheet where I listed all the items. I must confess that you are a great excel expert and nothing more to say than, THANKS. Can the Macro be setup to loop through all tabs in the active workbook? Great question! I added a section in the article above on how to loop through all sheets in the workbook and run the code on each sheet. Thank you Jon. Excellent code. I would love to see (or write) how to cycle through all rows starting with row 2, and find a string (let’s say “Closed”) in a specific column, and then delete the entire row that contains that call string. Excellent article. Very relevant! We really appreciate you providing this information–especially in such a clear way. What if I want to hide the column if the cell condition is empty? If the cell is empty or blank, you can use the following. The double quotation mark represents a blank or nothing. Another option is to use the IsEmpty function. The IsEmpty function returns a True or False value. So, if the cell (c) is empty then the function will return a True and the column will be hidden. The difference between the two techniques is that the first is checking if the Value of the cell is blank. We can have formulas in the cell that return a blank, and the condition would evaluate to True. The IsEmpty function is checking to see if the cell is empty, meaning there is no formula or value in it. If the cell is completely empty then IsEmpty will return a True. Thanks for the distinction. This is exactly what I needed. I am having issues getting this to work when my cell “D3” is a named range using data validation. The macro does not seem to recognize the text in that cell. Any workarounds? If the cell contains the name of the named range, you could something like the following. I’m not sure if that is exactly what you are looking for, but hopefully it helps. What if I wanted to hide a column based on two criteria in two different rows? Say A1:G1 contains an X and A2:G2 contains a Y. How would the code change if wanted only columns that have both an X and a Y to be hidden? Sorry for the delayed reply. You can use an AND operator to evaluate both conditions. The Offset property allows us to offset a certain number of rows or columns from the range (cell). c.Offset(1,0) will go down 1 row and to the right 0 columns. The column parameter is optional, so we could also use c.Offset(1). Have you seen this before?/do you perhaps know how to solve this? 2) The target item seems to be case sensitive. I tried your code and it worked when my value was “X” (capital x) but not “x” (lower case x). Is there a way to make it non-case-sensitive? 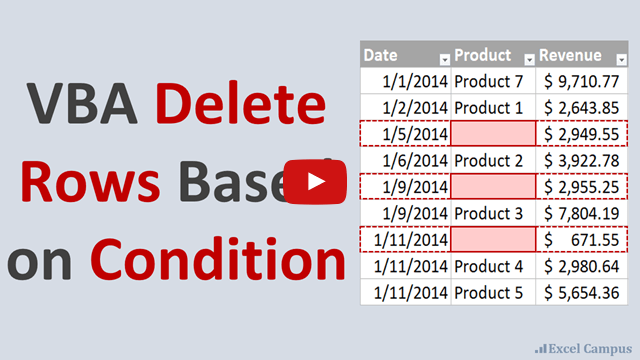 1) Here is a video on how to use events in VBA to run code based on user actions. 2) We can use the UCase function to convert the value to of the cell to upper case when the macros performs the test. That will convert c.Value to an uppercase string of text. It will NOT convert the value in the cell to upper case. It is only doing the conversion in memory to test against the upper case “X”. what code should i input? How do you do this in reference to a value in a cell? Example, if the value in cell range G9:J9 equals the value in cell D3 I want those columns to remain visible and if not I want those columns hidden. That will compare the value of the cell in the loop (c.Value) to the value in cell D3. Thanks! how would I apply this to run across multiple sheets in the same workbook? I have 4 sheets all with multiple columns with the word “preview” in row 1 (column numbers vary), I need to hide and unhide thee depending on the day of the week. You can use another loop to loop through the sheets, then run the code on each sheet. Awesome. But I want it to find 2 or more “X” items and hide all. Is there a way to have it find multiple cell values? Great question! Yes, we can use an Or condition for this. Here is an example. That would check if the cell value is X or Y, and perform the code below if EITHER condition is met. Thank you so much, this was fantastic!